It was after watching an employee successfully perform CPR and administer the anti-opioid drug naloxone to an overdosed patient, that Chris Budnick knew he had to revise his organization’s approach to addressing the opioid crisis. Budnick is the executive director of Healing Transitions, a peer-run addiction recovery center in Raleigh, North Carolina, that’s on the front lines of a battle that’s stretched into every facet of the U.S. workplace, from construction sites to restaurant kitchens to public bathrooms. But even here, where former addicts help current users get clean, the opioid crisis represents a heightened challenge. That forced the organization to change their policies. They started instituting “fire drills” for staff to practice successfully administering naloxone as well as providing confidential opportunities to talk and process with other professionals after a traumatic opioid event. The company also developed an informed consent form for employment applicants to let them know they might encounter an overdose and might have to act. “You might be someone who works in finance… but you might still be put in that situation,” Budnick said. More than 70,000 Americans suffered fatal drug overdoses in 2017, an increase of more than 10 percent from the previous year, according to data from the Centers for Disease Control and Prevention (CDC). Across the United States, more than 7 in 10 employers said that their workplaces had been affected by employees’ prescription drug use through injuries, accidents, overdoses, and absenteeism, among other factors. The crisis cuts across class and employment lines, but it’s particularly severe in areas like construction and the restaurant industry, explained Dr. Brent Boyett, a board-certified addiction-medicine specialist, and chief medical officer with the addiction treatment facility Pathway Healthcare. However, fewer than 2 in 10 felt they were “extremely prepared” to deal with prescription drug misuse, a 2017 survey from the National Safety Council (NSC) found. The NSC study also found that even when employers had policies in place to address prescription drug use, fewer than 4 in 10 felt they were “very confident” they had adequate processes for helping workers with recovery after treatment, the right processes for supervisors to follow when they identified a potentially impaired employee, or the correct insurance and benefits to address the issue. For instance, 71 percent of employers feel that prescription drug use should be treated like a chronic disease. However, nearly as many — 65 percent — believe it’s justified to fire an employee for drug misuse. Then there’s the question of how much appetite some employers have to deploy effective drug abuse-prevention and mitigation policies in the first place. Recently, the NSC issued a separate call-to-action for employers to re-evaluate their drug-testing policies, conduct employee training and education, partner with medical providers, and ensure confidential access to health and treatment for people who may be suffering from opioids. 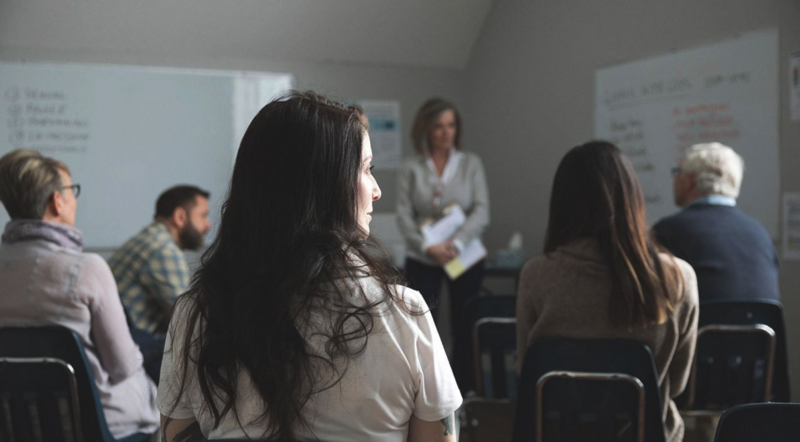 The NSC identified five factors for a successful, modern drug-free workplace program: A clear, written policy; employee education; supervisor training; an employee assistance program; and drug testing. Those employee assistance programs (EAPs), which provide short-term counseling, free and confidential health assessments, referrals for additional treatment, and follow-up services to employees who are having personal or work-related problems, are critical. “[Our EAP program] is growing quite a bit. Everyone in the country is waking up to the idea that this falls under the umbrella of behavioral and medical issues,” said Jaja Okigwe, chief executive officer of First Choice Health. The health plan administration company and PPO network offers diagnostic services for providers looking to assess opioid use among a company’s employees, as well as an EAP to help address that use. When an employee fails a drug test (or self-submits their drug use), they’re then referred to First Choice’s EAP, which leads to additional screening, consultation, and referral to a short- or long-term recovery program. All with the goal of the employee successfully returning to work. More employees keep their jobs than not, according to a representative with First Choice’s EAP department. First Choice’s clients run the gamut of industries, Okigwe said, from thrift stores and athletic clubs to small and medium-size construction companies.